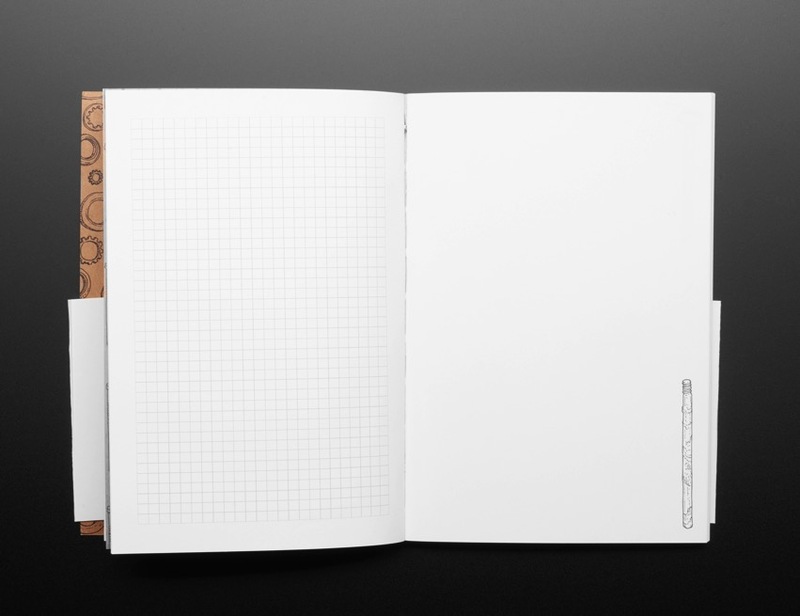 NEW PRODUCTS – Toolshed Coloring Book + Toolshed Journal « Adafruit Industries – Makers, hackers, artists, designers and engineers! 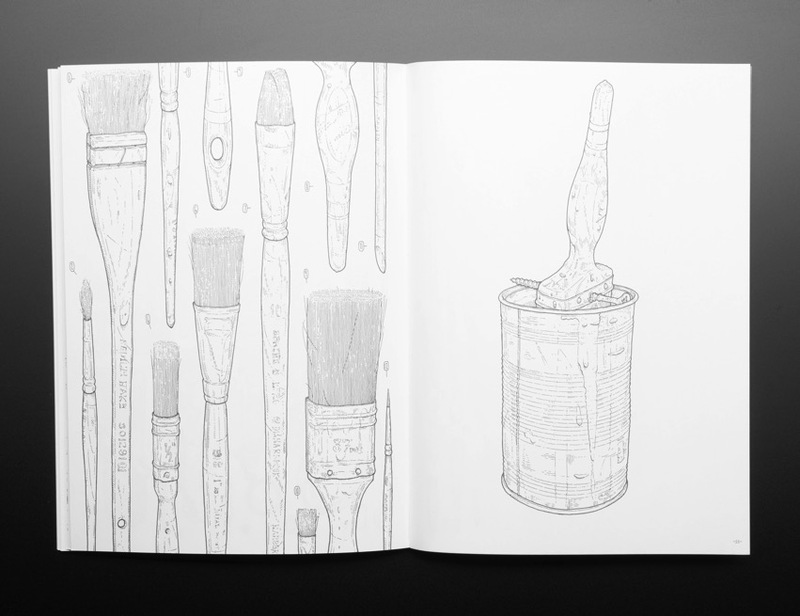 In 2013, illustrator Lee John Phillips began a project of one drawing a day, documenting the miscellanea from his late grandfather’s shed. Phillips’ “Shed Project” has enjoyed widespread coverage in the media and around the world. “My grandfather, Handel Jones, died in 1994. His shed has remained relatively untouched. My grandmother treats it as a mausoleum. He was a practical man and would spend a great deal of time in that shed fixing, salvaging, and making. 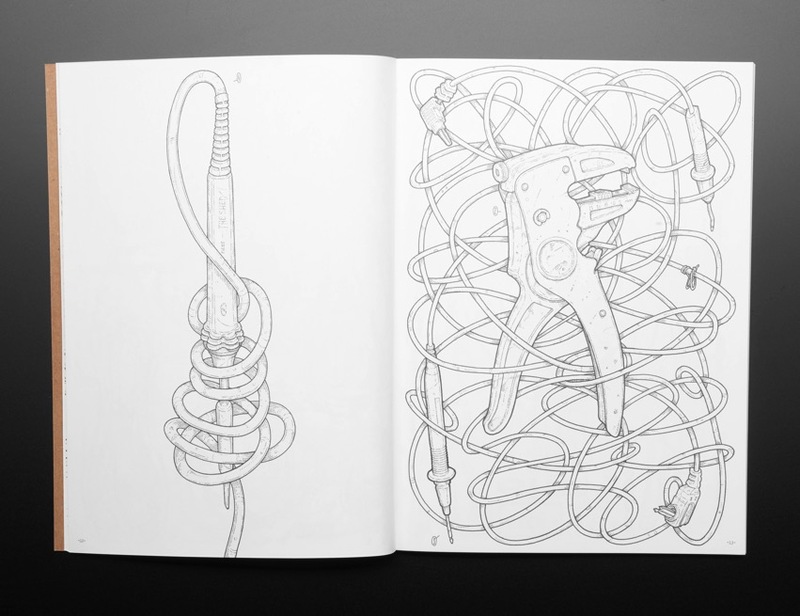 Broken items were stripped of their parts and components sorted into relevant containers. Nothing was thrown away. 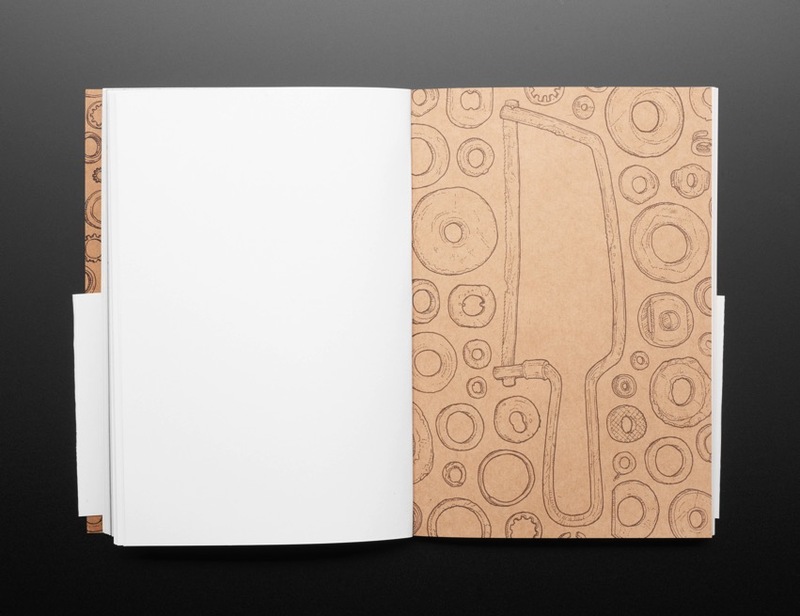 This lovingly commemorated and beautifully designed journal features 40 illustrations from Phillips’ “Shed Project”. 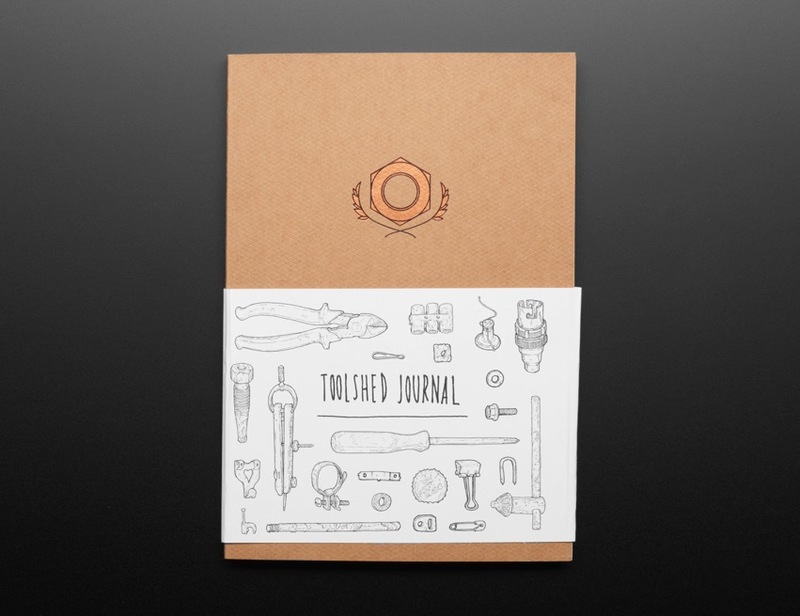 With its wood effect cover and three different paper stocks, the Toolshed Journal is a wonderful memorial and daily journal. 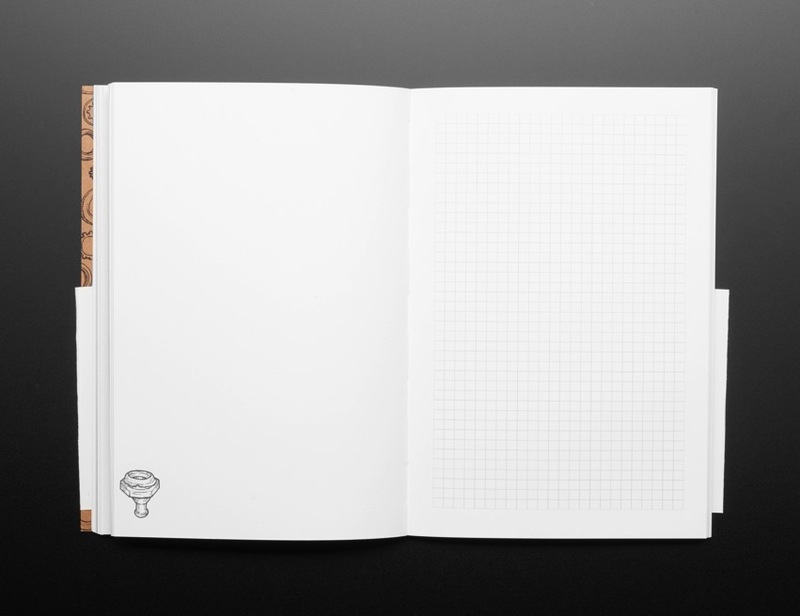 Pages are either blank or grid-ruled for illustrations or notes. 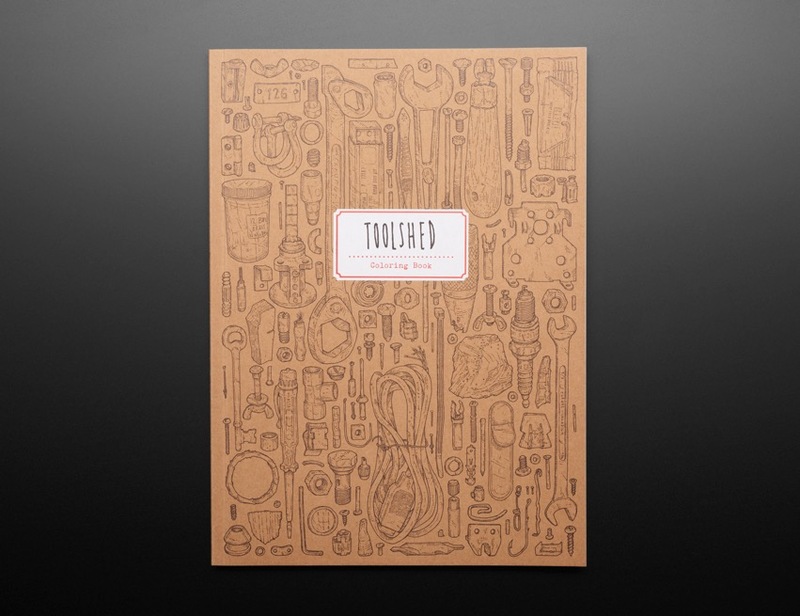 This boldly non-traditional Toolshed Coloring Book features 50 pages of over 1,400 beautiful, black and white illustrations, detailing the smallest hex nut to clamps and chisels. 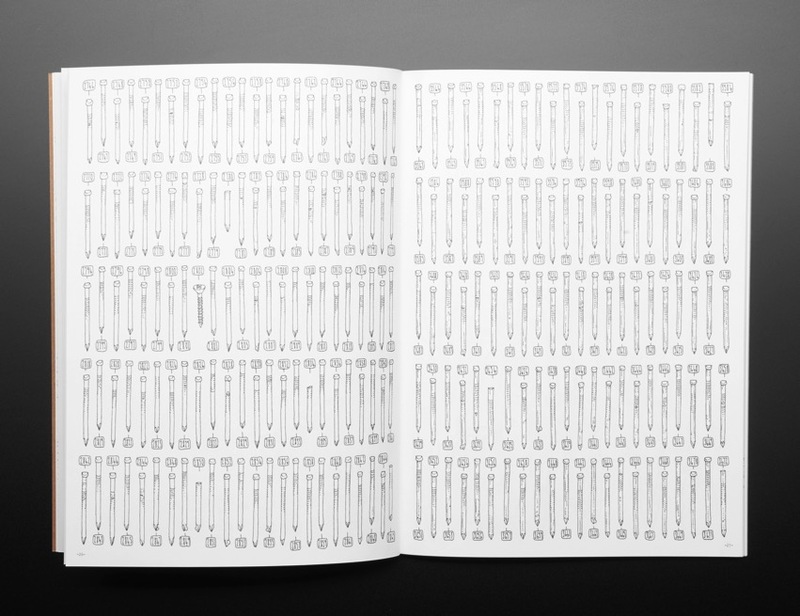 The last pages of the book are a dedicated inventory index, so you can look up what kind of tool you’ve lovingly colored in.